Tavares: "Our engineering teams, using some of the Ruesselsheim engineers, are making our next generation of products U.S.-compliant." DETROIT -- To return to the U.S. market, PSA Group is asking some Opel engineers to return to their roots. 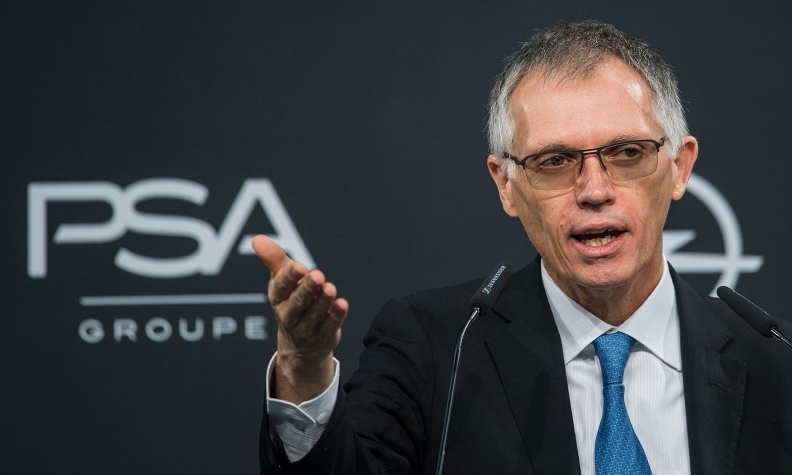 The French automaker is making its latest products compliant with U.S. regulations as part of a 10-year plan to sell vehicles in North America, PSA CEO Carlos Tavares said here Thursday. The company is using Opel, a former General Motors brand based in Ruesselsheim, Germany, to take the first steps to enter the U.S.
"Our engineering teams, using some of the Ruesselsheim engineers, are making our next generation of products U.S.-compliant," Tavares said. "That work started a few months ago and has been boosted by the fact that we're now using the Ruesselsheim engineers who have been working for GM for so many years." PSA will sell vehicles in North America by 2026, Tavares said, and is researching the U.S. consumer market to decide which brand to lead its return. As it has done in Russia and Latin America, the automaker will start with low-volume sales to ensure short-term profitability. "Our success in Europe could lead to a very arrogant position that I want by all means to avoid," Tavares said. "Entering the U.S. will only be an upside for the value and the profitability of my company. My only focus in the U.S. is to do the right things right." Other new hires include Lynn Blake, vice president of mobility. She is a former Nissan colleague of Dominique and Tavares. Vincent Noirbent has transferred from France as vice president of corporate and product planning. Dominique described him as PSA North America's conduit into the parent company. Opel found itself under French ownership last year after GM struggled for decades to turn a profit. Tavares said he can revive the brand using the same tactics the former Renault-Nissan Alliance executive used in the turnaround of PSA in 2013 -- tightening up manufacturing operations and giving engineers "room to breathe." However, that extra breathing room comes with additional responsibilities. By tasking Opel engineers with the reverse process of readying European vehicles for the North American market, PSA can advance its global aspirations while developing a potential source of additional profit. "For us, it's a great opportunity to merge their skills and their expertise to prepare the cars for the U.S. market," Tavares said. Along with U.S. regulatory compliance, PSA is preparing for globalization with its Free2Move mobility platform, which allows customers to use multiple mobility services on one app. The app launched in the U.S. in October and hosts outside companies such as Zipcar and Car2go. PSA will add its own mobility services, including a car rental service, to the platform this year. PSA has yet to announce a location for its North American headquarters. The company pulled its Peugeot brand out of the U.S. market in 1991. Dave Versical contributed to this report.